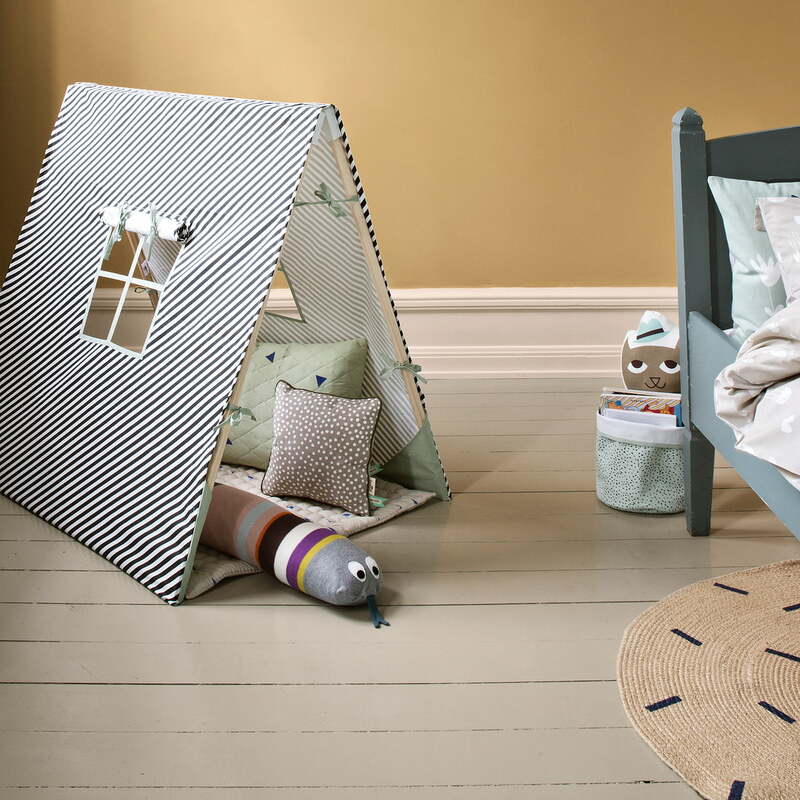 The children's play tent by ferm Living is the ideal height for the children's bedroom and can serve as a cosy hide-out in which to play, read or relax. A comfortable retreat is instantly created simply by opening the double frame. The unique and straightforward design invites children to let their imagination run wild, and provides a great shelter for creative ideas. Once the kids are done playing, the tent can be folded back up in the blink of an eye. A protective bag in which to store the tent is also included. The amazing tent also features intricate details, such as the two windows with roll-down blinds, that adds to the fun. Moreover, reinforced corners and hinges ensure that the cotton fabric does not fall off the frame. The 100 x 100 cm tent is available in different colours. Caution: Only for household use. Isolated product image of the play tent, Dots grey by ferm Living. Once the kids are done playing, the tent can be folded back up in the blink of an eye. A protective bag in which to store the tent is also included. 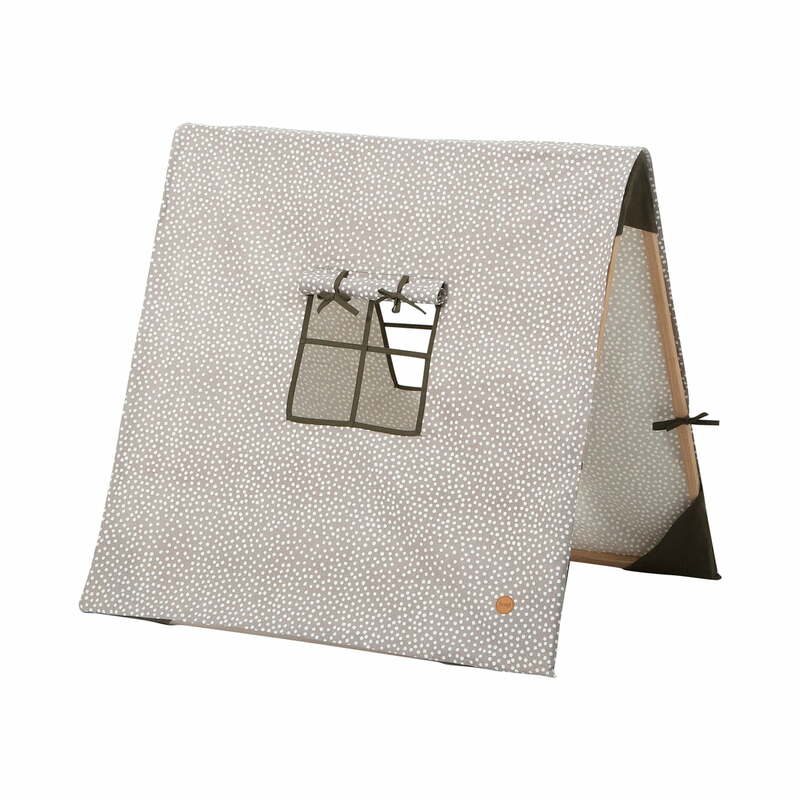 Isolated product image of the play tent, Dots grey by ferm Living. 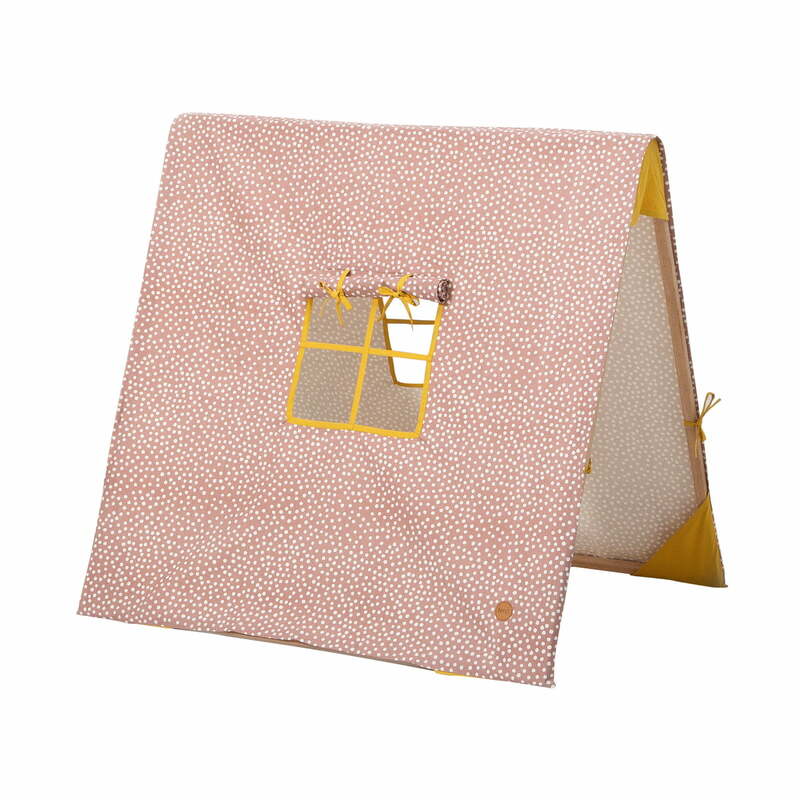 The amazing tent features intricate details, such as the two windows with roll-down blinds, that adds to the fun. Lifestyle product image of the kids tent by ferm Living: The amazing tent features intricate details, such as the two windows with roll-down blinds, that adds to the fun. Mr. Snake is a great cuddly toy that puts a smile on every child’s face. The 1.60 m-long cuddly toy in the shape of a snake features a cheerful pattern and a cute face, including big wide eyes and a stretched out tongue.